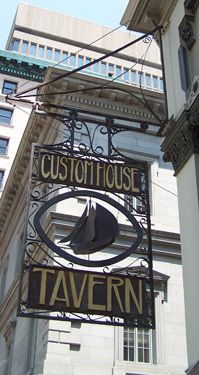 Strategically located on Weybosset Street at Custom House Street, One Custom House sits among the Bank of America Tower (f/k/a Industrial National Bank Building), One Financial Plaza (f/k/a Hospital Trust Tower), 110 Westminster Street (f/k/a Fleet Center), Turk's Head Building, Amica Tower, the Arcade and more, and surrounded by public parking facilities and some on-street parking. One Custom House has been meticulously preserved and meets all the criteria for recognition by the State Historic Commission and the United States Department of the Interior, yet it contains the latest in efficient heating and air conditioning, electrical service, fiber optic availability, cable and internet services and more. Suites range of single user executive offices to 1,800 square foot entire floor suites. Please see the following pages for plans, photographs, amenity listing and rent schedules.